In this article, I would like to showcase the basics of iOS data persistence with Swift, by presenting a general overview of what’s possible. Data persistence is the mechanism of storing any type of data to disk so that the same data can be retrieved without being altered when the user opens the app next time. While you could save the same data on a server, in this tutorial we are going to describe all the ways to store data locally in iOS apps. For example, we are saving to disk all the stocks & cryptocurrencies in your watchlist, for our Finance App Template. We are using NSUserDefaults to persist the users’ settings in all of our templates. 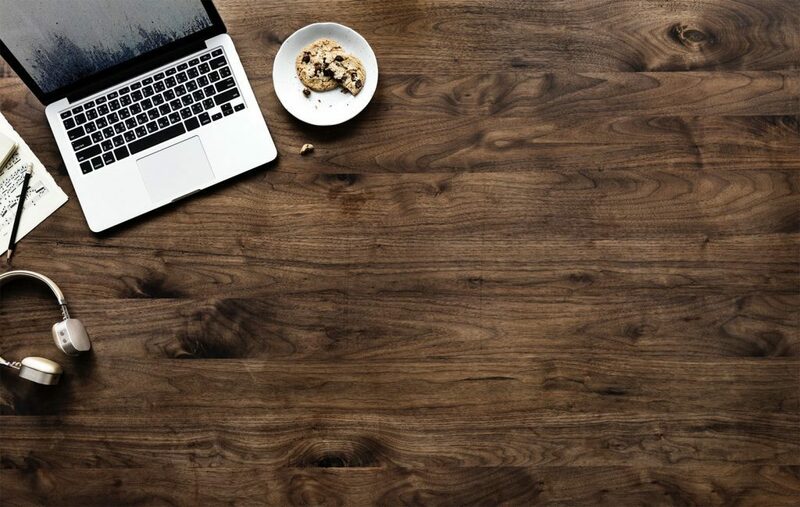 In this article, we are going to describe in details these Swift technologies, as well as how to pick the the one that best fits your needs. All of them have powerful benefits, but they come with different trade offs, so it can be tricky to choose the right one, especially if you’re new to iOS. UserDefaults as name specific can be used to store default information about the application or its users. For example, the user should be able to specify the default playback speed or currency that you should display when presenting some stock data. These preferences should be application specific and should be persistent between app launches. UserDefaults is an NSObject subclass that gives us synchronous reads and writes (on cache level) and asynchronous persistence level. Unit testing user defaults can occur with some false positives. Apple Keychain is a very popular and functional Swift tool that every iOS and MacOS user is using. It can be used to save passwords, secure notes, certificates, etc. 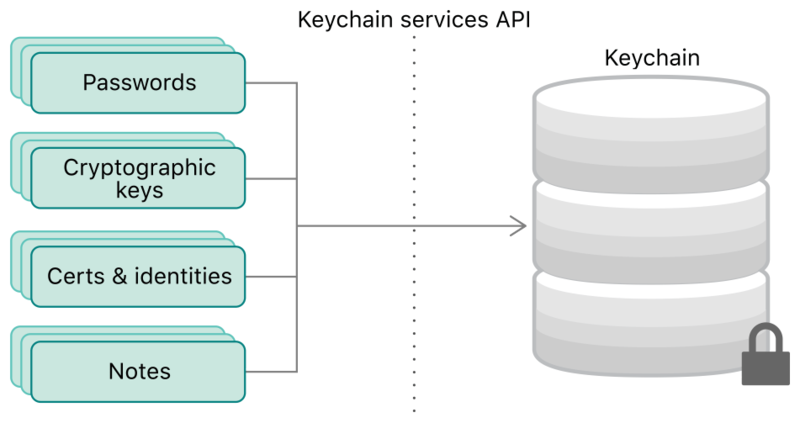 In general, Keychain is an encrypted database with quite a complicated and robust API. Use Keychain when you need to save sensitive user data, such as passwords or login credentials. For example, we are using Keychain to implement the persistent login feature in all of our Swift App Templates. query[kSecAttrAccount as String] = account as AnyObject? // Try to fetch the existing keychain item that matches the query. Saving passwords is even more complicated as the native Keychain API does not distinguish between adding an item and updating an item. Taking into consideration all that stuff, in general, it’s a good idea to use some external libraries with some handy APIs like Locksmith or KeychainAccess for that purpose. CoreData is persistence and/or in-memory cache framework that consists of a very powerful set of other tools that can be used within the app. In most common examples CoreData is used as a wrapper for the SQLite database and it’s used to save and present any type of user data. Let’s create a DataModel. Apple recommends using the application name as DataModel name. Now, we can create a CoreData stack. The stack should store NSPersistentContainer, and give access to mainContext (which is a NSManagedObjectContext object) – this one should be used for fetching the data and to create background contexts which are responsible for saving the data. context.perform is a requirement for being thread-safe because all operations of the given context need to be performed on the context queue. Apple makes writing, reading, and editing files inside the iOS applications very easy. Every application has a sandbox directory (called Document directory) where you can store your files. FileManager object provides all these functionalities with very simple APIs. Files can be stored inside catalogs and sub-catalogs of your app’s Document directory. That’s why Apple recommends using the URL to specify and work with files using the FileManager object. URL classes, in general, are used when working with a network like API requests and opening the websites. This use cases require adding https:// prefix for every URL to be created. For files, Apple requires using the “file://” prefix, which allows Apple to detect whether you are using the proper file URL. Let’s decompose a simple example in which we would like to save Data to a file on disk. The method is responsible for creating the URL of the file with the given name. As mentioned, we can only write to the documents directory with .userDomainMask. `fileManager.fileExists(atPath: url.absoluteString) ` returns true if the file already exists. We probably would like to not override that file, but this depends on your use case. Now that we are sure we can save the file, we should use a Data object method `write(to url: URL, options: Data.WritingOptions) throws` that stores the file under specified URL. You can store large objects (e.g. photos) to disk, as long as there is enough local storage on the device. SQLite is a relational database management system contained in a C programming library. In contrast to many other database management systems, SQLite is not a client-server database engine. In fact, it is embedded in the client application itself. So there is no networking involved in SQLite. The most common purpose of using SQLite in the app is a possibility to make some data read/write optimizations on the database level, which cannot be done using CoreData. This topic is very wide, so I would like to encourage you to get familiar with the following wrapper for SQLite: https://github.com/groue/GRDB.swift. Plist files enable storing serialized objects with key/value conventions. In macOS and iOS applications, the most common usage example of plist is an Info.plist file which stores application settings values. Inside Info.plist we can find the application name, bundle identifier, version number, required permissions info, Facebook App info, etc. Another example of a .plist file, implemented in all of our iOS App Templates that use Firebase, is the GoogleService-Info.plist file, that contains all the Firebase API Keys, needed for user authentication & database access. Plist files can be used to specify some app environment values, like base backend URL, application keys, shared regex strings. They are a better fit for this, than let’s say, Swift classes. Thank you for reading this article. I hope that you learned something new here. These are all of the iOS Data Persistence APIs in Swift. They all come with benefits and limitations, so make sure you choose the one that is the most appropriate for your use case. In all of our iOS App Templates, we are leveraging multiple local data persistence techniques, to achieve high-performance thresholds and great security for sensitive data. Feel free to let us know what was your experience with these different types of data persistence layers in iOS apps. And don’t forget to share this article. Happy Coding!